Bar/Bat mitzvahs are celebrations that provide a lifetime of memories for you, your child, your family and guests. 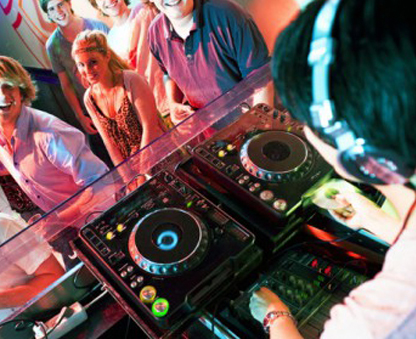 Because of the significance of this type of event, you do not want to book just any disc jockey entertainment service. Starting with the optional family introductions to the Motzi over the Challah, as well as the Candle Lighting, know that we will work closely with you to meet your individual needs. We know you invest so much of yourself into planning this once in a lifetime celebration as it is such a special milestone in your child’s life, after all he or she is emerging as a young adult. We at Sounds of Success DJ’s recognize the enormity and grace of their achievement… we will celebrate their coming of age, making it all it should be! We are portable…take us anywhere! Should your event be held at a grand banquet facility or local Jewish community center, Sounds of Success DJ’s has the suitable sound equipment to meet your specific needs. Large or small all venues can equally accommodated.